The Town Hall on Tuesday, October 16th, was a resounding success. The aim of this collaboration of several community social service-oriented groups, volunteers and our Local was to raise awareness about the cuts to social assistance and the Ontario Disability Support program, bring together number of recipients and mobilize for a sustained organized response. The facility provided by Start Me Up Niagara was full. 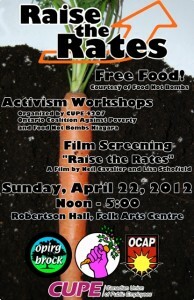 John Clarke, the Ontario Coalition Against Poverty leading activist spoke to a crowd of well over 100 people. The unemployed, disabled and injured workers have to be organized to mount a effective response to poverty. 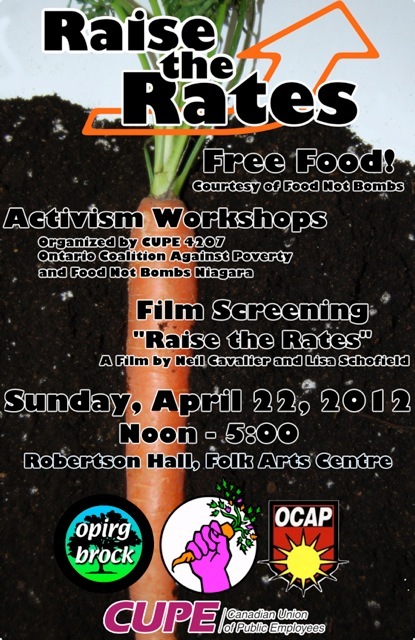 The press release that CUPE Ontario issued about this event can be viewed here. Fight the attack on special diet. Organize. Stay for a meeting in the park at 3 p.m.